Three goals have booked their Semifinals berth, which of the nine other goals will get new life? 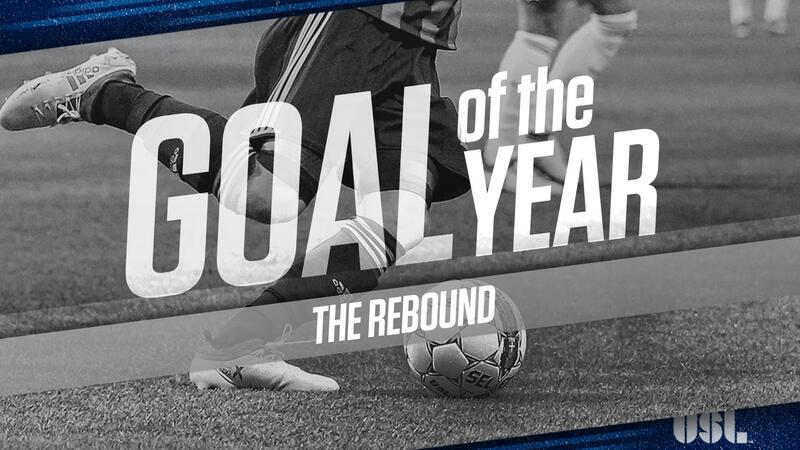 TAMPA, Fla. – Three goals have advanced to the Semifinals of the 2018 USL Fans’ Choice Goal of the Year competition, with Ottawa Fury FC’s Cristian Portilla, the Swope Park Rangers’ Wan Kuzain and San Antonio FC’s Alex Bruce all winning their matchups over the past week to book their places in the next round. Before voting begins to determine which two tallies will advance to the Final, though, it’s time for “The Rebound” as the nine previously eliminated goals get their opportunity to keep their chances alive of claiming the title. Those nine goals will need your votes over the next two days to earn the final place in the Semifinals. Among those are Rio Grande Valley FC’s Jesus Enriquez, FC Cincinnati’s Kenney Walker and Phoenix Rising FC’s Jason Johnson, all of which lost out in their Second Round-matchups. Voting will continue through 12 p.m. ET on Wednesday, December 12. Lagos Kunga (ATL) #CLTvATL, 3/31/18: Kunga’s first professional goal saw the former U.S. U20 international weave down the goal line past two defenders before producing a tight-angle finish at the near post. Jesus Enriquez (RGV) - #FRSvRGV, 5/9/18: Enriquez produced a dazzling finish from the top-left corner of the penalty area that gave the goalkeeper little chance as it curled into the top-right corner of the net as the Toros earned 2-2 draw in Fresno.